I am not an optimist. Tell me, “everything will work out,” and I will reply, “it doesn’t have to.” I just think that people usually find ways to cope with what comes. “But life eventually happens as it should!” There is no “should,” only, “this is how it is.” Thus, I am a planner. I try to hold the reins and steer my life as I can. I fight passivity and simply accepting whatever comes, as it does. Travel takes these elements of my person and gives them a good shakedown. 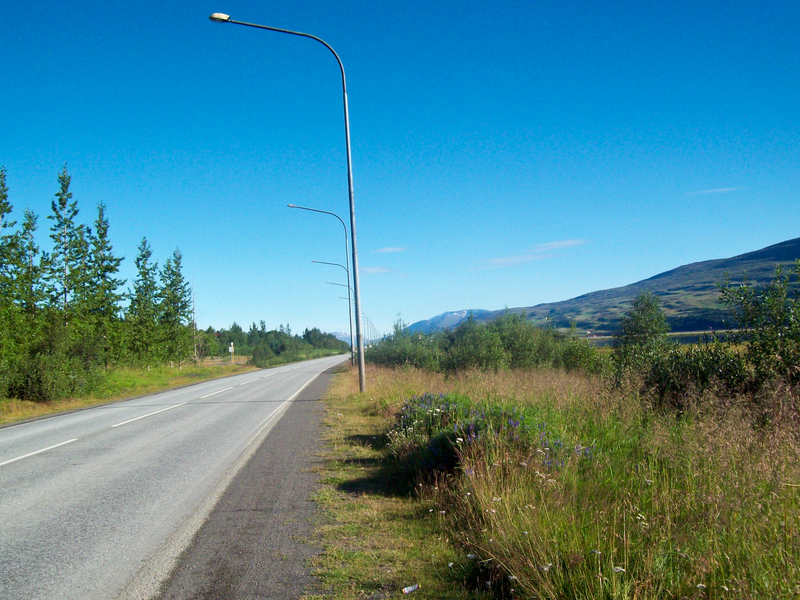 I walked along the road toward Akureyri. My early morning flight had just disembarked and, with no bus in sight, I began the trudge toward town. My visit would be just one night and I didn’t have much in the way of plans or, moreover, a place to stay. I had been couchsurfing and was coming away from fantastic adventures with hosts that began in Reykjavík and brought us to the volcanic islands of Vestmannaeyjar. My tight budget and my disinclination to stay in a boring hotel meant I had been looking around for a couchsurfing host in Akureyri up until I arrived, without luck. Despite being the country’s second largest urban area, the city’s population is a bit under 18,000. 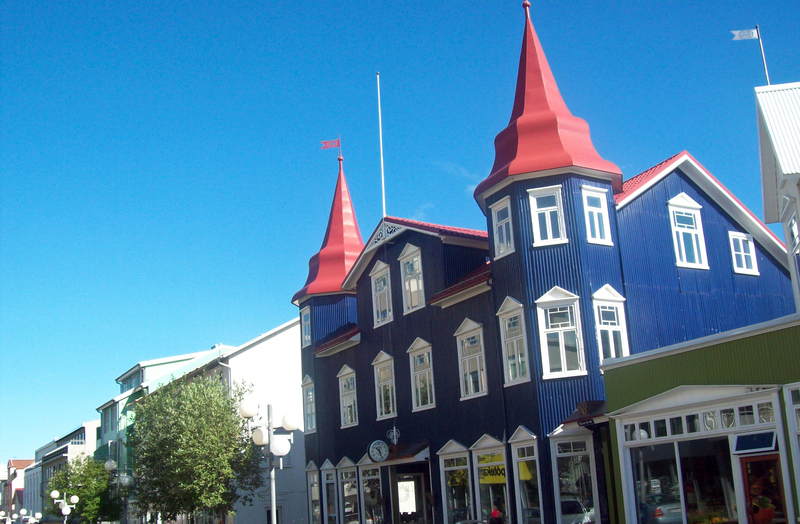 Compared to Reykjavík, hosting options were scarce. Unless a last-minute opportunity came up, my plan was to go to the tourist info office and ask for the cheapest hostel. And in Iceland, the cheapest hostels really aren’t that cheap. After about five minutes of plodding toward town, slightly encumbered by my backpack, a jeep pulled up beside me. A woman leaned over, “do you want a ride?” I hesitated for a breath. Hitchhiking is not something I would normally consider in the United States, but this was Iceland. I had read about travelers hitchhiking their way around the country and how safe it was. Plus, I had already grabbed a quick ride with my couchsurfing host after being stranded in the rain on Heimaey. And it was a lady asking me. I made the correct decision; I hopped in. Moments later, we approached a woman, carrying a backpack, ambling toward town. We pulled over. “Do you want a ride?” my benefactor inquired for the second time. The woman smiled and hopped in. “I’ll drop you off wherever you want!” our kind driver announced. Lacking plans, I told her anywhere near the city center was fine. My fellow ride-hitcher agreed. We got off in town, in front of a coffee shop. “Do you want to grab a drink?” After getting up at around 4am, coffee seemed like a lovely proposition. Her name is Clara. She is an artist from London. She had a residency in Akureyri and was staying there for a couple of months. “Do you have a place to stay? You can stay with me, if you want. The apartment they gave me has a spare cot.” Within ten minutes of my arrival, I had found a place to sleep. She left the door unlocked so I could come and go. She welcomed me to the contents of her refrigerator and cabinets. I visited her exhibit; her drawings were wonderful. We got Indian take-out together for dinner. 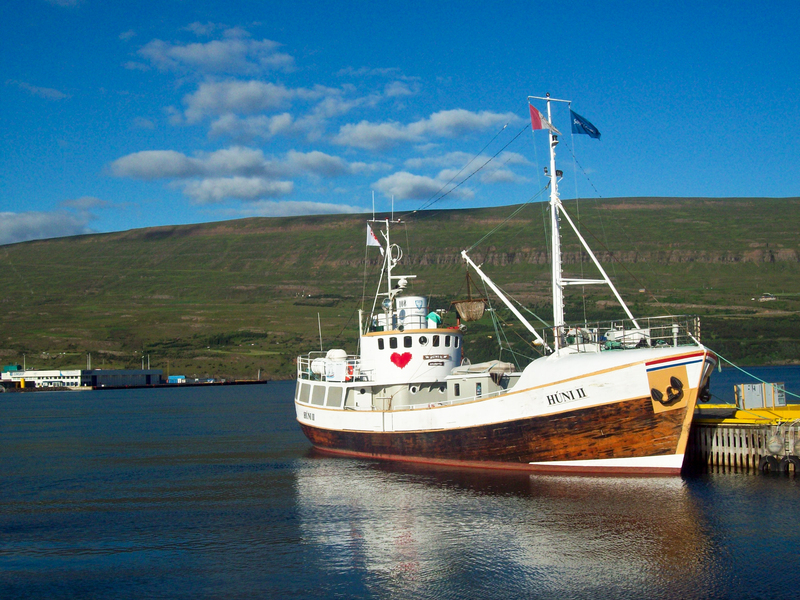 She persuaded me to venture to Húsavík the next morning before flying out again. Before my bus, we visited the town’s geothermal pools together. She bequeathed me an enormous red sweater when I departed, since she knew it would be cold on the boats in Húsavík—and indeed it was. 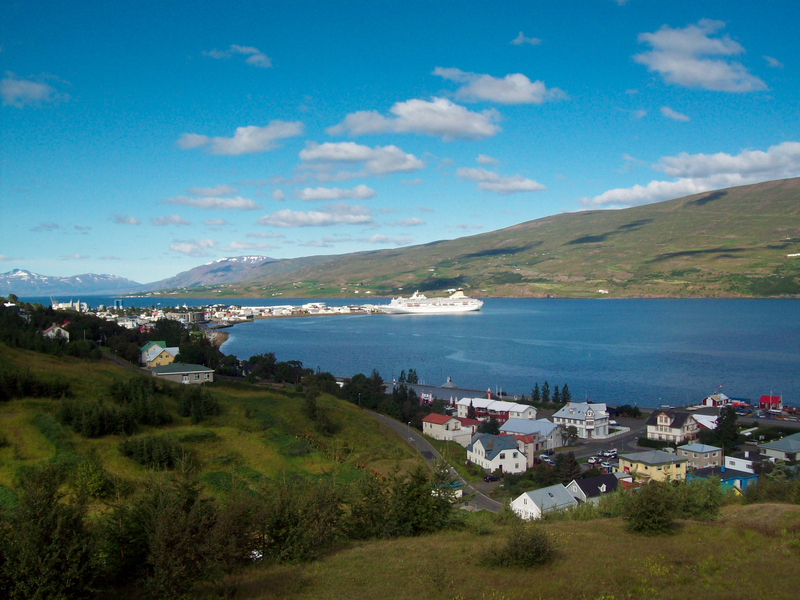 Akureyri is gorgeous. I hung out with a local couchsurfer, traversed the botanical gardens, had what is purportedly the best ice cream in Iceland, visited one of the largest dairy farms in the country, browsed at a local crafts fair, wandered all through town, found the cemetery, and bought some great gloves which would come in handy. But the best thing I did was hop in the jeep that pulled up alongside me during my early morning walk into town. I’m still a planner. I’m still not an optimist. But yes, if you’re flexible with a dash of adventure, you will deal with what comes. And if you’re traveling, well, it will work out, often splendidly. There are many paths forward, nearly all good, and you will learn something at every turn. I’m enjoying your posts, Leah! It’s nice to get some more insight into your travels ; ) You write well. Iceland is so beautiful. I had a wonderful time there when I visited this past summer. Oh, it’s gorgeous. I’m glad you got to experience it, too! I really want to go back and see more. I’m hoping to travel there soon. This is such a fun piece. I’m heading to Iceland next week and have been reading endless articles. I love how sometimes the best experiences are when we take a leap of faith. Definitely. The best experiences are random but they seem from being open. You’ll have loads of fun in Iceland, I think. I want to go back soon!